Nvidia recently made waves with the announcement of their Nvidia RTX GPUs, promising up to six times the performance of the 10 series along with real-time ray tracing capabilities. This prompted an explosive reaction that rippled through the entire PC gaming community. 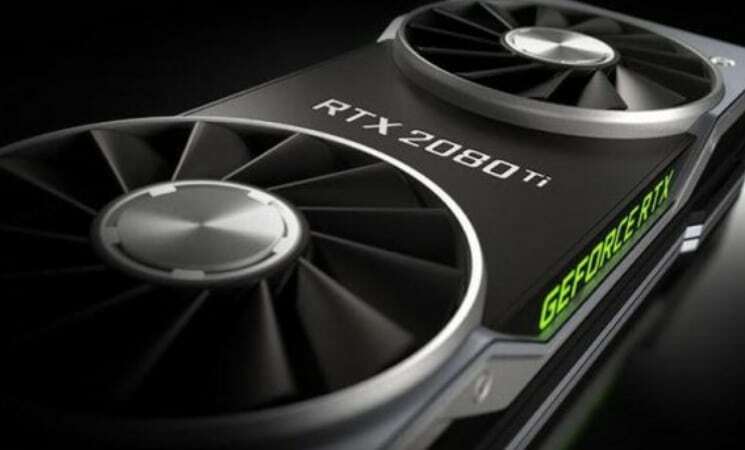 With some people rushing to preorder the new GPUs right away and others strongly arguing against it, you may be wondering what all of this commotion is about. RTX may very well be the biggest story to break in the world of PC gaming this year, but what does it all mean for you, the consumer? Today, we’re going to answer any of the questions you might have on this topic, and help you decide if Nvidia RTX is right for you. To understand Nvidia RTX, you must first understand real-time ray tracing. Defined in the most simple manner possible, real-time ray tracing is simply ray tracing done in real-time; I’ll elaborate on ray tracing more in a second. So what is ray-tracing? It’s a rendering method that computers use to create images on your screen. However, ray tracing is unique for its ability to create realistic lighting. What makes RTX so special is the “real-time” part as ray tracing is an incredibly intensive task, even for professional studios like Pixar. In fact, until very recently nobody thought performing it in real-time was even possible on consumer-level hardware. Traditionally, video games use rasterization and shaders to render scenes and handle lighting. While you can get some truly impressive results with this technology, especially in recent years, it’s actually quite limited and requires much greater work to make convincing reflections and lighting within video game environments. This has been a necessary compromise, however, since even with the highest-tech, production houses like Pixar can sometimes take 29 hours to render a single frame of a film! With traditional lighting methods, you’re typically limited to what’s visible on screen (screen space reflections, screen space ambient occlusion, etc). With ray tracing, any and every light source is taken into account, even if the camera can’t see them, resulting in rich, deep lighting and shading that’s almost impossible for consumer-level technology. Real-time ray tracing… tones things down a little bit. So, no, you won’t be getting in-game visuals that look like they’re straight out of Toy Story 3 or Monsters University. Consumer grade real-time ray tracing still won’t be able to track as many light sources, nor will it be to the ridiculous precision that CGI films do, but it will take another step into making shadows and reflections look beautiful and accurate. In summation, real-time ray-tracing will enable a level of realistic lighting and shading that hasn’t been seen in gaming before. Brand new hardware and software tools will be needed across the industry to take advantage of this new leap forward, and Nvidia is hoping to lead the charge with Nvidia RTX. Speaking of Nvidia RTX it’s about time we defined it. The “X” doesn’t seem to stand for anything, it’s just cool and seems to tie into Nvidia’s GTX branding, which we’ll explain below. The “RT” actually does have a meaning, though, and as you might have guessed it stands for “Ray Tracing” (or maybe “Real-Time”?). Nvidia RTX refers to Nvidia GPUs that are capable of real-time ray tracing through dedicated hardware on-chip and supported applications. This is apparently a big enough change from Nvidia’s perspective to justify a change to the “RTX” branding, as opposed to the “GTX” branding on the rest of their GPUs. How is it different from Nvidia GTX? ...are not capable of real time ray-tracing. While we have yet to see what 20-Series GPUs will be released alongside the current RTX GPUs, there’s a decent chance that they won’t be RTX-enabled. 20-Series GPUs released at lower price points than the RTX 2070 may not bear the RTX branding at all and instead return to GTX. Since even the highest-end RTX GPUs aren’t capable of pushing 60FPS with RTX enabled at resolutions higher than 1080p, adding RTX capabilities to lower-end cards would be both costly and pointless. That being said, other graphics cards may end up supporting real-time ray tracing as well. For instance, AMD is likely to debut a response to RTX sooner rather than later. How many games support RTX? Metro Exodus - The threequel, if you will, to Metro 2033/Metro Redux. The Metro series is already renowned for their incredible visuals, and with RTX Redux takes it even farther. Shadow of the Tomb Raider - The latest in the Tomb Raider reboot series, focused on the eponymous Tomb Raider and her adventures. Expect thrilling escapades, plenty of vertigo, and the occasional instance of brutal violence. Battlefield V - The fifth main entry in EA’s Battlefield FPS series, which is known for its massive map sizes, graphical prowess, and insane team sizes. MechWarrior 5: Mercenaries - Yet another entry in the MechWarrior series, which is fixated on giant mecha fights. What’s not to like? Assetto Corsa Competizione - A high-end racing simulator developed in Italy as part of the Assetto Corsa series. Atomic Heart - An alternate-universe FPS taking place in a version of the Soviet Union turned terrifying horror show. Control - An intense, brutalist indie title exploring the world through the eyes of “the Director”. Enlisted - An MMOFPS from Gaijin Entertainment, based in WW2 and featuring squad-based gameplay that blends the FPS and RTS genres. Justice - A beautiful Chinese MMO with a strong focus on Eastern locales and martial arts. Unlikely to come to the US. JX3 - Another Chinese MMO with a similar goal as Justice. Unlikely to come to the US. ProjectDH - An obscure MMO reminiscent of Monster Hunter. Nobody really knows what to expect from this one. RTX, no. Ray tracing… they actually already have it, sorta. Meet Radeon Rays. Radeon Rays is an open source, GPU-accelerated ray tracing solution from AMD, designed to be implemented with applications and platforms conforming to the OpenCL 1.2 standard. It isn’t dedicated ray tracing hardware, like in Nvidia’s RTX chips, but instead a developer tool that people can use to enable ray tracing capabilities in their games and applications. At the time of writing, this seems mainly oriented toward professionals and developers, not common consumers or gamers. However, with the release of RTX, this is likely to change very soon. While AMD has gotten flak for failing to keep up with its rivals in the past, they’ve been much more competitive with both Intel and Nvidia lately. It’s highly unlikely that AMD won’t debut their own technology and GPU line to rival RTX in the next year or so. If you’re Team Red for life, you may want to consider waiting for AMD’s response to RTX before buying into it. Will RTX come to consoles? RTX specifically? Probably not. Real-time ray tracing… probably. According to Tim Sweeney from Epic Games, it’s actually quite likely and other AAA studios should start preparing for it by integrating ray tracing features into their engines. While we likely won’t know for sure until E3 2019/2020, it’d be uncharacteristic of Sony or Microsoft to allow themselves to fall this far behind the curve after the release of the PS4 Pro and Xbox One X. It’s probable that real-time ray tracing will not come until the next generation of consoles, however. Anyway, that about sums it up. We’ve covered every big question we’ve seen people asking around the Internet, and we hope that you now have a clear understanding of what Nvidia RTX is, what ray tracing is, and how it may change your gaming experience in the near future. If you have any other questions, be sure to let us know in the comments. We want to make sure we’re able to provide the best information possible.